Rheumatoid arthritis (RA) is considered as a long-term autoimmune disorder. Gene polymorphism and oxidative stress might be involved in the pathogenesis of the disease. 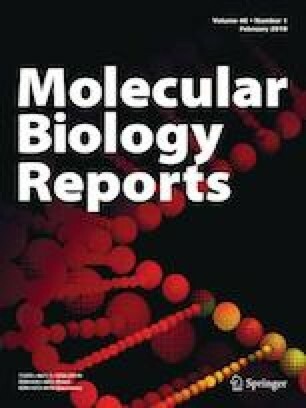 We aimed to determine the association between PON-1L55M polymorphism and its effects on inflammatory markers such as anti-cytroline circulated-peptide (CCP)-antibodies, C-reactive protein (CRP), neopterin serum concentration, arylesterase (ARE) and butyrylcholinesterase (BuChE) activities and total-antioxidant-capacity (TAC) level with the activity of disease in RA patients. This case-control study consisted of 419 RA patients and 397 gender–age-matched unrelated healthy controls from the west of Iran. PON1-L55M polymorphism was detected by real-time-PCR. The TAC level, serum BuChE and ARE activities were determined spectrophotometrically. Anti-CCP-antibody and CRP were measured by ELISA and neopterin level was detected by HPLC. The PON1-M55 allele was associated with increased risk of the RA in cases with moderate or high activity (OR = 1.43, p = 0.023) and also in cases with the presence of anti-CCP antibody (OR = 1.51, p = 0.009). Synergistic effects of PON1 M55 and Q192 alleles resulted in 2.14 times (p = 0.021) increased disease activity among RA patients with moderate or high activity of the disease. RA patients carried both M (PON1 L55M) and Q alleles (PON1Q192R) had higher concentrations of neopterin (p = 0.003), anti-CCP-antibody (p < 0.001) and CRP (p = 0.026) and significantly lower TAC level (p < 0.001) and ARE (p < 0.001) activity compared to controls. The current study suggests there might be a relationship between genetic and activity of PON. Also, the PON1L55M and PON1Q192R could act in synergy to increase the risk of RA and enhance the level of oxidative stress markers. This work was performed in partial fulfillment of requirements for a M.Sc by degree in Clinical Biochemistry, Kermanshah University of Medical Sciences, Kermanshah, Iran (Shiva Shahmohamadnejad). All authors contributed equally to this study. This study was funded by Kermanshah University of Medical Sciences, Kermanshah, Iran, Grant No. 90324.